Lillard has been his absolute best self in these playoffs. In Games 1 and 2, he has broken Oklahoma City. 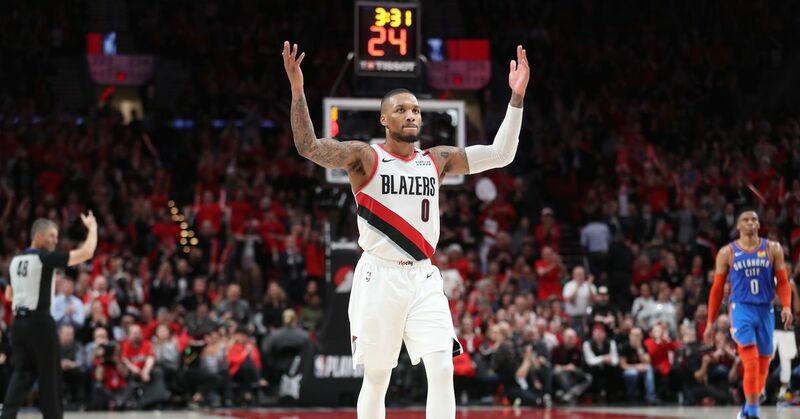 After scoring 30 points that felt like 40 in Game 1, Damian Lillard put up 29 points in Game 2 of Portland’s first-round series against Oklahoma City. Each one of his buckets felt like a dagger to the heart. In propelling Portland to a 2-0 series lead, they may have also been a dagger to the Thunder’s playoff hopes. Pep Guardiola: "Ahora soy un genio, marcó un gol, eh..."
Higuaín rompió el silencio: "Me refugiaba porque me daba miedo salir a la calle"